Objectives: Disturbances have been recognized as a key factor affecting terrestrial biogeochemical processes but can be easily misinterpreted without considering the context of disturbance regimes. Many studies have been conducted to quantify impacts of individual disturbance events on ecosystem carbon processes. In general, one disturbance event, such as wildfire, usually triggers release of a large amount of carbon and then follows by recovery processes. It is important to recognize that any disturbance events happen in a context of disturbance regime in a region. If the disturbance regime does not change over time in a region (i.e. stationary), recovery processes after one disturbance event result in net carbon uptake that can fully compensate the carbon loss triggered by the disturbance event, leading to no net change in carbon balance over time. Similarly over space, the carbon loss triggered by the disturbance event in one area can be fully compensated by carbon gain by recovery in other areas in a region if regional disturbance regimes are stationary. Thus, disturbance impacts on biogeochemical cycles have to be interpreted in the context of disturbance regimes and their responses to global change. Disturbance regimes can usually be characterized by disturbance frequency, severity, and extensity, and differ in different regions of the world. So far, the quantitative relationship between carbon-climate feedback and disturbance regimes has not yet been carefully explored. Climate change likely alters disturbance regimes (i.e. nonstationary). The nonstationary disturbance regimes trigger either net carbon releases from or uptake by terrestrial ecosystems, feeding back to climate change. Mathematical models are needed to quantify stationarity of disturbance regimes and their feedback to global carbon cycles and climate change. This investigative workshop will bring together disturbance ecologists, biogeochemists, mathematicians, statisticians, and computer scientists to discuss various issues related to integration of disturbance ecology with biogeochemistry using mathematical and statistical approaches. The workshop will synthesize state-of-the-art information and identify future directions in the interface areas of disturbance ecology and biogeochemistry. It is anticipated that the workshop will lead to a NIMBioS Working Group to tackle more focused issues in this interface area. Central Theme. Development of mathematical models that integrate disturbance ecology with biogeochemistry so as to predict future changes in disturbance regimes and their influences on carbon-climate feedback. Summary Report. 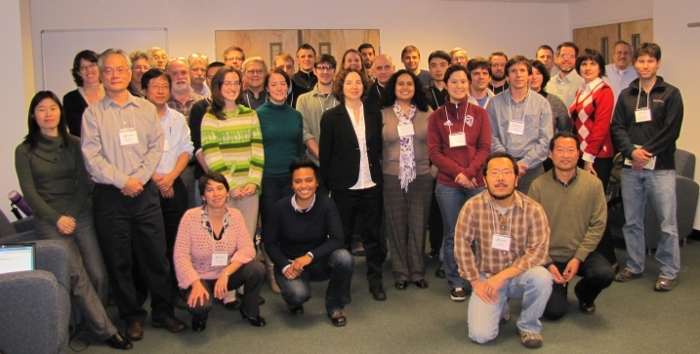 This investigative workshop brought together disturbance ecologists, biogeochemists, mathematicians, statisticians, and computer scientists to discuss various issues related to integration of disturbance ecology with biogeochemistry using mathematical and statistical approaches. The workshop synthesized state-of-the-art and identified future directions in the interface areas of disturbance ecology and biogeochemistry. The workshop led to the formation of a group to informally address the question: Can we develop a mathematical framework to describe/investigate disturbances/recovery/state shifts? In addition, we also discussed to form a working groupto develop a mathematical framework, which can be potentially used to evaluate performance skills and uncertainty of global land models. Such a framework may facilitate model-model and model-data intercomparison. Hritonenko N. February 2013. Sustainable development in biological and environmental systems. TAMU, College Station, PVAMU, Prairie View, NSF-UBM-Colloquium. Hritonenko N, Yatsenko YU. May - June 2012. Generalized functions in qualitative analysis of population control problems. 12th Viennese Workshop on Optimal Control, Dynamic Games and Nonlinear Dynamics, Vienna, Austria. Hritonenko N, Yatsenko YU, Goetz R. January 2012. 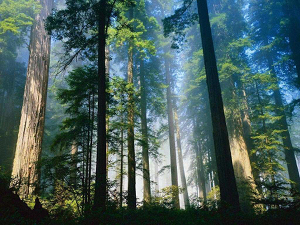 The environmental impact on sustainable forest management. American Mathematical Society, Boston, MA.